Can-do hobbies, food, hair & beauty, and consultancy were among the most popular business ideas across the UK during 2014. That’s according to Cobweb’s most recent national Start-up Barometer based on analysis of almost 200,000 downloads of Business Opportunity Profiles (BOPs) from COBRA (Complete Business Reference Adviser) by subscribers last year. Analysis of 192,664 downloads throughout 2014 has revealed that the number one start-up profile that was researched was Photographer, followed by Café in second place, with Coffee Shop third, Management Consultant fourth and Personal Trainer in fifth place. Of the top 20 business ideas profiles downloaded, six were food-based, five were in consultancy/training, and four were hobby-based ventures. The BOPs were downloaded by business advisers working with their start-up and small business clients in local enterprise agencies, business reference libraries, university incubators and enterprise units around the UK. Alongside the agencies, libraries and universities, COBRA subscribers also include front-line managers in high street banks across the country and a variety of other national, regional and local business support agencies and funding providers. There were over 400,000 downloads from COBRA across all types of guides and reports during 2014. The top business ideas are surprisingly traditional. There is little sign of the boom in new online business models, except for eBay trading. People are starting with what they know. 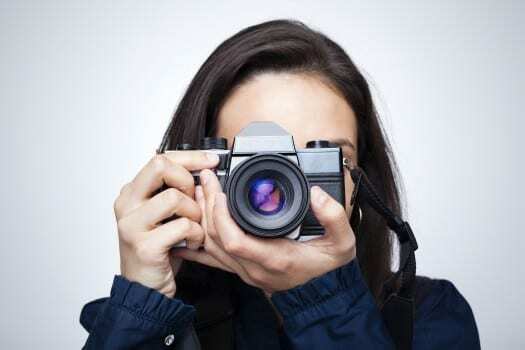 Images: photographer and coffee shop via Shutterstock.